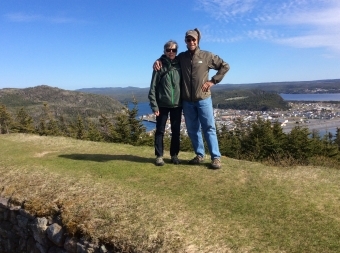 Retired maintenance professional and outdoor enthusiast Ray Van Osch made the trek from Ridgeway to Sunnybrook Hospital in Toronto in early spring to be diagnosed with Amyotrophic Lateral Sclerosis (ALS). ALS is a disease that causes gradual paralysis of muscles. The disease affects walking, eating, swallowing, talking, breathing and has a life expectancy of three to five years. With his wife Judi by his side, the couple were encouraged to seek an Augmentative and Alternative Communication (AAC) Clinic to assist with the necessary next steps. Unknown what an AAC Clinic was, it was explained that Ray will likely lose his ability to speak. An AAC Clinic could help Ray and Judi be proactive and have Ray’s voice recorded for the use in a communication device. There was a surgery and many tests leading up to Ray’s diagnosis which meant weekly or daily trips to Toronto. Ray and Judi described the trips to Toronto as onerous and physically and emotionally exhausting. Fortunately Hotel Dieu Shaver Health and Rehabilitation Centre learned of Ray and Judi’s experience and helped facilitate a transfer from Toronto to Niagara/Hamilton. In 2014 Hotel Dieu Shaver saw an unmet need in the community. Listening to the residents and its patients comment that there was not an AAC clinic for adults. 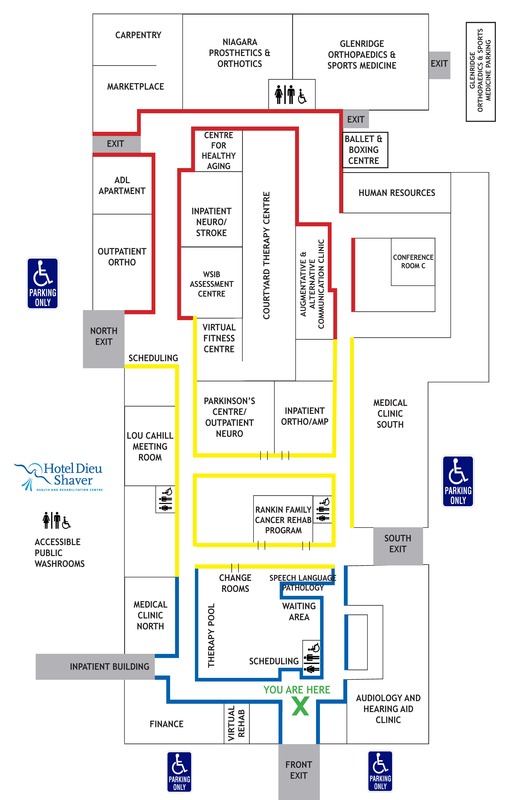 It was then that Hotel Dieu Shaver opened up its own expanded level AAC Clinic servicing the residents of Niagara. This program is funded by the HNHB LHIN. In a short amount of time, Hotel Dieu Shaver was able to improve Ray’s patient experience by arranging to have his AAC service provided in his own home. If Ray is unable to attend medical appointments in Hamilton, the Hotel Dieu Shaver AAC Clinic team can arrange a video conference visit from his home through the Ontario Telemedicine Network. Furthermore, the Hotel Dieu Shaver team will follow Ray through the course of his ALS to ensure that he and his wife Judi have the equipment and techniques needed to communicate his needs and continue to have conversations with his family.